Carborundum Universal, a Murugappa Group company, is aiming at growing its new products business share to reach 20 per cent in the overall revenue over next few years. The company, which is into abrasives, industrial ceramics, electrominerals and others, is working on bringing in various new products to the market. In CUMI, the definition of new product is those products which are developed during the year or which are developed in last three years. Once it crosses the third year, it will no longer be seen as a new product. This is a moving number. Even if the product scale up rapidly after three years, it will not be a new product for the company. At present, the new products contribute to around 8 per cent of the revenue. "The aim is to scale up rapidly in the first three years. For instance, our electromineral product Z450 will no longer be a new product for me next year and even if it makes more revenue from then on, it will not be considered in the new product revenue. The aim is how many you bring in and how soon can you scale up," said K Srinivasan, managing director, CUMI recently. The company is working on various projects including a material into energy storage systems and working with several such systems where it is developing applications along with its partners. It is also working on a product the automobile segment, which would be used in the engines with new emission norms. Its one of the latest product, Z450, an electromineral used for ceramic colours, refractory products for glass and steel industries, but did not grow upto its expectations considering slower pick up by customers. The market for Z450 has not picked up as fast as the company expected. The customers need to tweak their process a little bit to switch from the existing monoclinc zirconia to Z450 and it also needed to get tested and approved by their customers. Convincing these two levels of customers and the testing and the tweaking processes has taken larger time that what it was expected in terms of scaling up, even though the new product offers certain advantage over the previous product, such as lower radiation, which results in a healthier and cleaner product. Across all business units of CUMI, there has been continuous focus of technology innovations leading to achieving a total of 247 Intellectual Prpoerties in form of Patents, Design Registrations and Trademark Registrations, as of January 2019. The company has over 20,000 varieties of products and 28 manufacturing locations across India, South Africa, Russia, Australia and China. 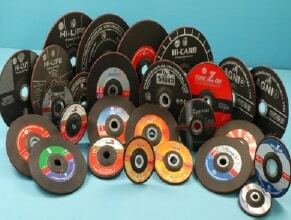 It is aiming to become one of the largest abrasives (including super abrasives), technical ceramics in the world by 2022, said a company presentation in February, 2019. The consolidated sales, according to this, was around Rs 2330.5 crore during FY18 and is expected to grow around 14 per cent during this fiscal. Around 45 per cent was international revenue.